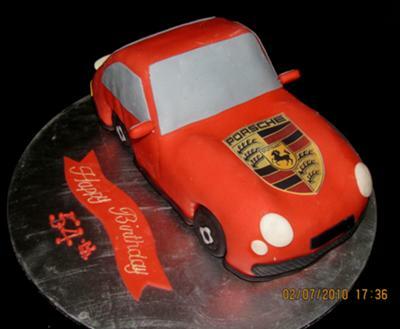 This Porsche car cake is for a church brother's 54th birthday. I baked a 10"x10" and shape it to a car shape. Then covered it with fondant. Join in and write your own page! It's easy to do. How? Simply click here to return to Car Cake.